If you’re one of the millions of people who flocked to the cinema this weekend to see Iron Man 2, you’re no doubt wondering how much of the plot is based in fact, and how much is pure science fiction. 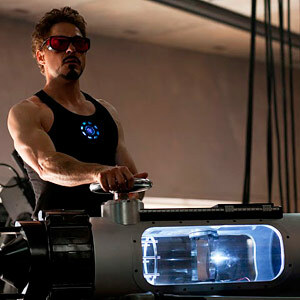 Discover’s 80 Beats blogand Popular Mechanics both offer nice analyses of the science behind the movie: namely, that some version of the Iron Man suit is in development; yes, you canbuild your own particle accelerator; and yes, new elements can be synthesized in such an accelerator. But much of what actually happens in the film remains in the realm of hypothesis. While the film naturally took some liberties with the details — sci-fi has the luxury of not having to pass peer review — Marvel Studios nonetheless cared enough about plausibility to ask the Science & Entertainment Exchange for a suitable scientist with whom they could consult.